With summer quickly coming to a close, dreams of breezy days and steamy nights turn to melancholy as the reality of the return of mundane routines set in. Alas, a weekend escape to Jamaica is the perfect pick-me-up to get through the fall season. The destination&apos;s year-round temperate climate and nonstop airlift from most major gateways provide access to a range of options for the ultimate weekend itinerary. Visitors can kick-off their weekend getaway with a stop in the capital city, Kingston. While there, learn about two of Jamaica’s musical icons, Bob Marley and Peter Tosh. The Bob Marley Museumincludes an interactive theatre, photographic gallery, and tours of Marley’s personal home. From there, head to the Peter Tosh Museum for a history lesson on the life and work of the critically acclaimed member of The Wailers, the Jamaican reggae group. A multidimensional experience awaits. For a fun activity, tourists will enjoy taking the patty challenge. Juici and Tastee are two popular establishments known for their delicious patties -- locals have their favorite; visitors find choosing one difficult. Next stop, Terra Nova. With just 41 suites, lavish old-world interior and impeccable service, this boutique property is a luxurious oasis in the heart of New Kingston. Receive 15% off September bookings and free breakfast to boot. For some of the best seafood in Jamaica, Gloria’s Seafood City in downtown Kingston is a local favorite. The original is in Port Royal but this newly opened location adds sweeping views of Kingston Harbour to the experience. For dessert, head to Devon House for a tantalizing taste of their famous, I Scream. 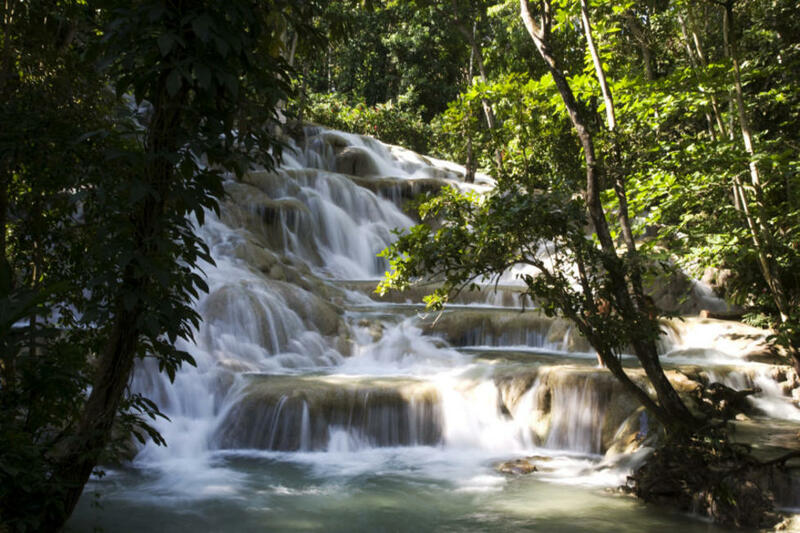 With the completion of the North/South leg of Highway 2000, visitors can hit the road early for a quick one-hour drive to Ocho Rios to experience a thrilling climb to the top of Jamaica’s most iconic waterfall, Dunn&apos;s River Falls. A skilled guide will lead adventure seekers up the 600-foot cascading falls stopping along the way for pictures. Across the street, Mystic Mountain will offer visitors an equally exhilarating activity. The Rainforest Bobsled is modelled after the famous Jamaican bobsled team and the ride through Jamaica’s rainforest is powered by gravity. Indulge in culinary delights at Miss T’s Kitchen. Using fresh local ingredients to serve up classic Jamaican cuisine, this local favorite is known for curried goat and oxtail stew, although everything on the menu is delicious. Fresh juices are not to be missed and vegetarian options are also available. For breath-taking views, check-in to Jamaica Inn. Often recognized as one of Jamaica’s best boutique hotels, this family-owned and operated luxury property will make a compelling case for staying an extra few days. With 28 suites and cottages, and no televisions or radios, be prepared for a digital detox. Enjoy great fall savings of up to 25% off daily rates with a booking of at least 3 nights or more from November 1 through December 19, 2018. Travelers looking to squeeze in some extra beach time will want to depart early and head to Doctor’s Cave Beach in Montego Bay, about a 1.5 hour drive. These turquoise waters are believed to have healing powers, so bring swimwear to take a dip. For unique souvenirs, the Hip Strip offers the ideal keepsake of this weekend getaway. The closest departure gateway is Sangster International Airport in Montego Bay. After check in, proceed to Club MoBay for a relaxing experience. Enjoy savory snacks and premium beverages, WiFi, shower facilities, and more.